Look at a Ranch or European style home and you just naturally expect to see slate shingles. Similarly, if you’re looking at a Bungalow or Cottage style home, you might expect to see cedar shake roofing. Is there a right or wrong roof product for different style homes? The answer is no. While some home styles go together like peanut butter and jelly, there are no right or wrong answers. In fact, we’re surprised how often we hear from homeowners who “inherited” a specific style roof and when it came time to replace the roof, they switched to a completely different polymer roofing product. Take Mary Katherine Hirsh for example. Her Nevada home had a cedar shake roof on it for 42 years. 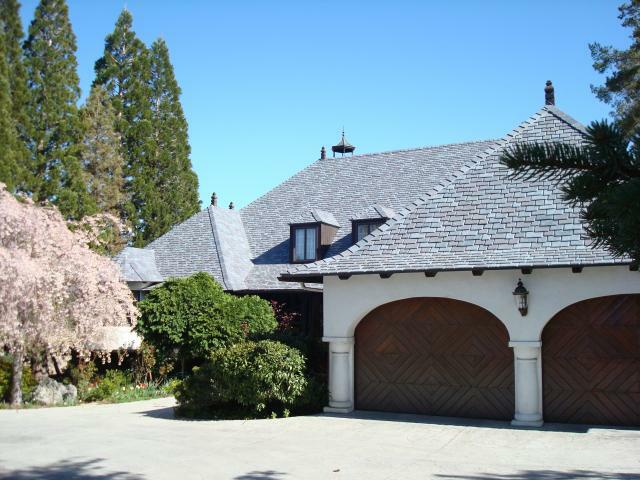 When she decided to replace her failing cedar roof shingles, she chose to use DaVinci Roofscapes simulated slate roofing. Hirsh reports that the slate style suits her home’s design more than the original wooden shakes. Michael Klappa is another homeowner who made the switch. He too had cedar roofing on his home, but after bug infestations and storm damage, switched to synthetic slate roofing. Are you ready to make the switch? If so, make sure to switch to easy-care composite roofing from DaVinci!